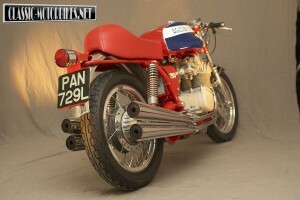 David Frier’s MV Agusta Sport is a guaranteed head turner. Not just because it is so clean and well prepared, but also because of the name on the tank and the rarity of the bike itself. MV Agusta occupy a very special place in the hearts of bikers the world over having captured everyone’s attention since the late fifties. The legendary racing name began making multi-cylinder road going motorcycles, the first released in 1965, to support their amazing run of success on the Grand Prix circuits. MV Agusta won their first premier class title in 1956, with John Surtees riding, and two years later, began a seventeen-year period of total dominance in the class. Between 1958 and 1973 MV’s took the title using a host of riders, a feat only stopped by the onslaught of big capacity two stokes 1974 although the MV race bikes still proved troublesome, the 350 triple taking its last GP win as late as 1976. 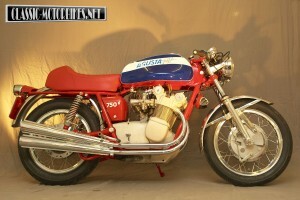 The 750 Sport was first seen At the Milan show in 1969 and was in full production by the early part of 1972. although highly rated in the new Superbike class the MV was held back considerable by its relatively high price tag, the basic S model had a UK list price of £2300 in 72. By comparison a Honda CB750 or the all–new Kawasaki Z1 could be had for a fraction of that amount making the MV well out of reach for all but the well heeled biker. 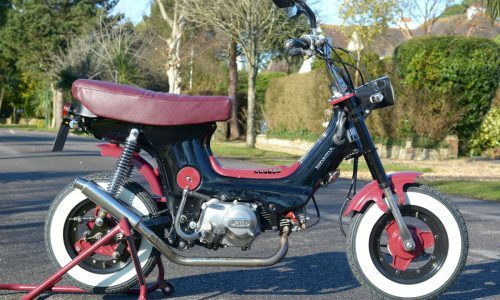 This 750 Sport was bought back in 1989 as a total basket case, David carried out all of the chassis restoration while MV guru, Dave Kay, refurbished the engine and gearbox. 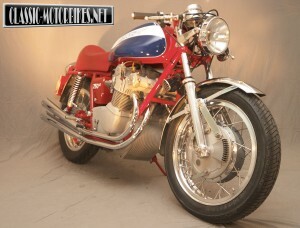 The Birmingham based Kay is able to repair, maintain, or even fabricate any component used in the Italian four cylinder engine, so much so that complete MV replicas are also constructed by him. The whole job took just over a year to complete to the top standard you see here. Since then the MV has seen regular use and is in no way a cosseted showpiece, shipped round from show to show for viewing pleasure only. Sharing garage space at David’s home is another MV, this time a 350 single, along with a Moto Guzzi Le Mans and his latest restoration project, a 1950 BSA Bantam. This MV Agusta Sport doesn’t have the ultra rare factory fairing option and if it did then riding on the roads would be risky as replacements are impossible to source. It does have all the rest of the classic MV adjournments however the shaft drive giving a silky smooth transmission while the open carbs and megaphone exhausts rattle windows all along its route. 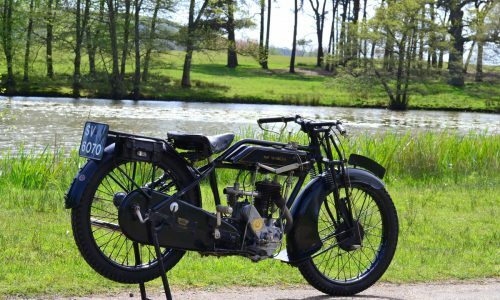 It was thought that t6he shaft drive was used to prevent people developing competitive race machinery that would challenge the factories own produce. The red tube chassis handles well while the rest of the cycles parts match the performance well. The only let down is the drum brakes that do take some time to leap into action so much thought has to be given to what is ahead at all times. David has never been without a bike throughout his adult life, having started on two wheels when he was 15 with fifty years biking experience now under his belt and with plenty more to come. He regularly rides bikes from his collection and recently took part in the Morton’s Motorcycle Media Group sponsored, Lincolnshire Wolds Charity Run, on the MV Agusta Sport of course.